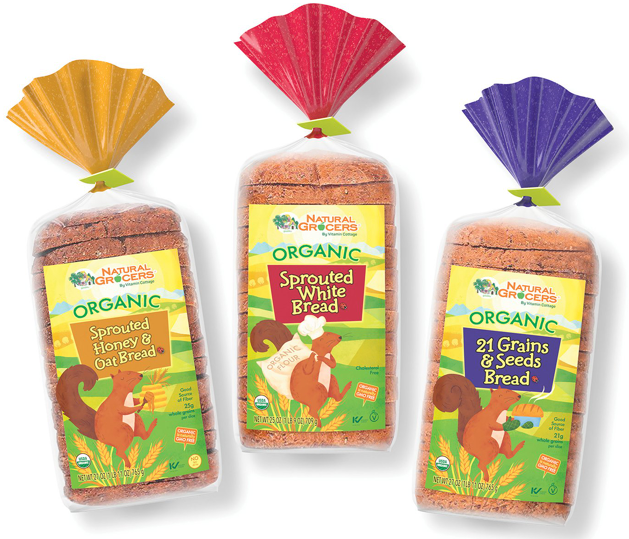 Natural Grocers by Vitamin Cottage Inc. has put its name and reputation for premium natural and organic groceries on a new private-label line. The Lakewood, Colo.-based specialty supermarket chain today unveiled the Natural Grocers brand, which encompasses more than 50 products in 15 categories, including grocery, dairy and frozen. On Friday, the retailer launched 35 Natural Grocers-brand items across 10 categories. Due to roll out in November are a range of Natural Grocers-brand organic items, including pasta sauce, olive oil, preserves, bread, apple cider vinegar, tortilla chips, taco shells, canned tomatoes, canned beans, canned vegetables, maple syrup, coffee (as well as fair-trade coffee) and frozen fruit. Products in the pipeline and slated to hit store shelves in 2019 include organic and 100% grass-fed cheese, organic and free-trade chocolate, organic coconut milk, 100% grass-fed beef jerky and organic frozen vegetables, the company said. “Our name has been defining the highest-quality standards in the natural foods industry since before it really was an industry. So when it comes time to put our name on products, only the highest-quality products will do, and we make sure that they are priced so that everyone can afford them,” Natural Grocers Co-President Kemper Isely said in a statement. For example, the Natural Grocers organic pasta sauce is made with heirloom tomatoes from plants that haven’t been altered for generations and with no added sugars, according to the company. Similarly, the organic extra-virgin olive oil hasn’t been blended with other types of oil or treated with heat or chemicals, and the organic preserves are made in small batches using a family recipe dating back to the 1800s. For its store brand, Natural Grocers partnered with How2Recycle to develop a standardized labeling system that clearly communicates recycling instructions to customers. The company noted that recyclable packaging is a linchpin of its eco-friendly and sustainable practices. This Saturday, Sept. 30, Natural Grocers plans to give customers a taste of its eponymous brand with free samplings at all of its stores from 1 p.m. to 3 p.m. Products available for tasting will include Natural Grocers-brand organic extra virgin olive oil, raw and unfiltered clover honey, organic apple cider vinegar and organic seedless raisins. Offering a mix of organic and natural groceries, body care products and dietary supplements, Natural Grocers operates 148 stores in 19 states.